Rhaphiolepis are excellent evergreen shrubs known for their resilience in the landscape. ‘Snow Maiden’ is a dense compact shrub growing to approximately 80cm height. Dark glossy green leaves emerge from copper coloured new growth while soft-pink flowers appear throughout the year. ‘Oriental Pearl’ is similarly a compact form however with showy pure white flowers contrasting well against the rounded deep green leaves. 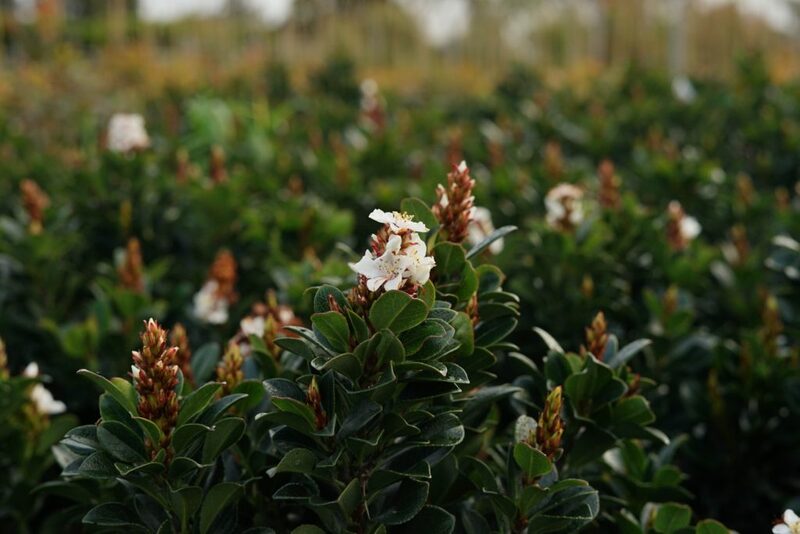 Rhaphiolepis are versatile plants and can be used as formal edging plants, background plants within mixed beds, or as singular containerised specimens. While grown best in full sun, we have witnessed Rhaph tolerate areas of substantial shade. The species is also tolerant of salt-spray making it suitable in coastal gardens or around pools. Our Rhaphiolepis are available in 30cm pots and are ready to make an impact in the landscape.